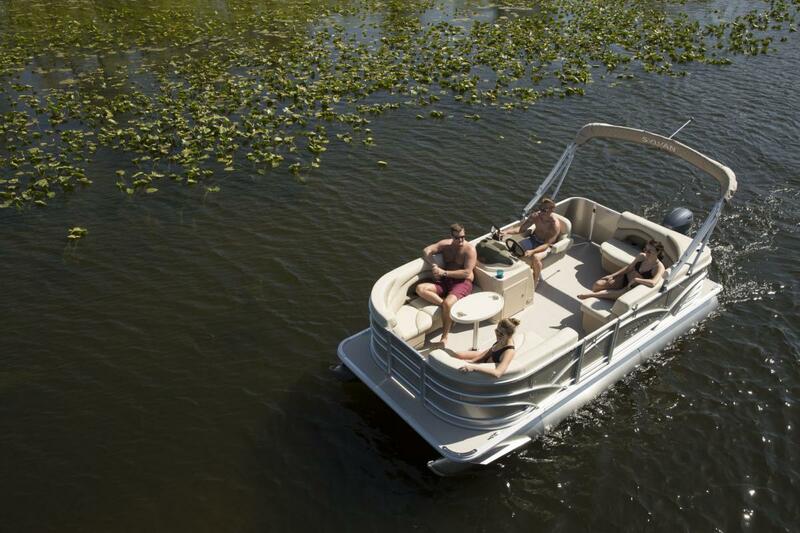 The most compact of the Mirage Cruise pontoon boats from Sylvan, the Mirage 818 offers comfortable seating and unique open space deck areas. With this exceptional value, great days on the water are well within reach. Powered by a Mercury 40hp Four Stroke Command Thrust engine.